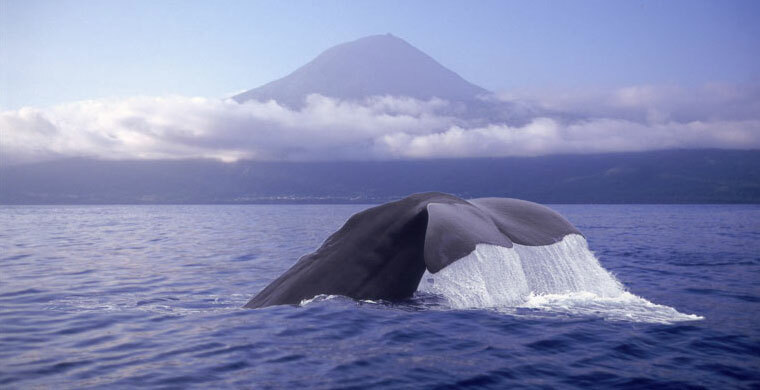 The islands of the Azores Archipelago lie like pins in the middle of the Atlantic. 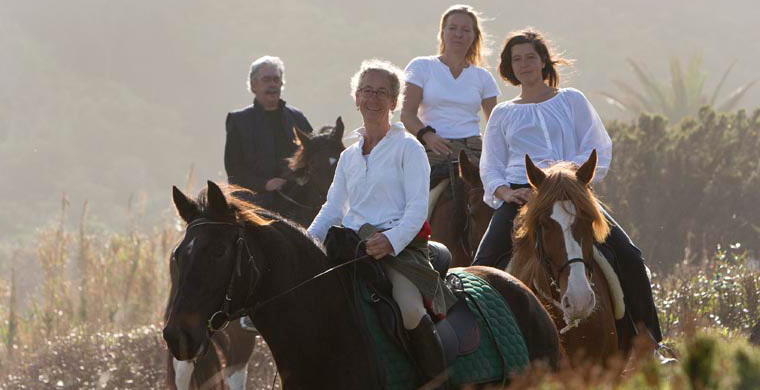 They form the westernmost edge of Europe and are a paradise for nature lovers and horsemen. 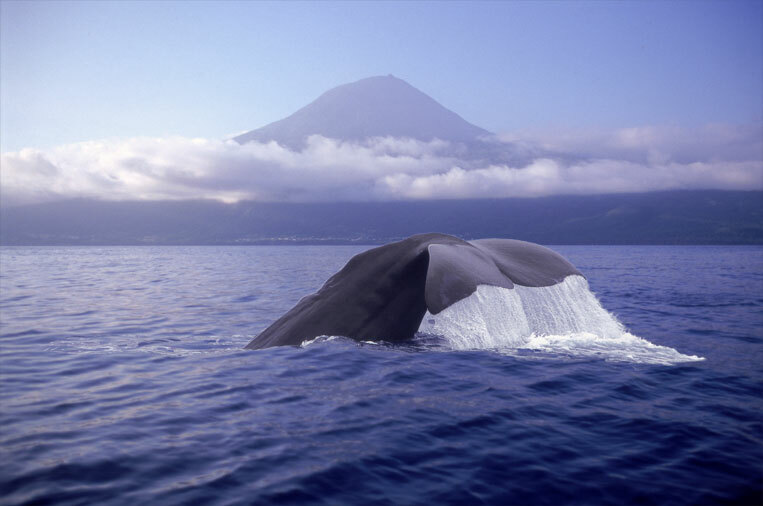 In the Azores the sky over the islands is shown daily in the most varied facets. Unspoiled nature and unimaginable diversity of species. Enjoy magnificent views of volcanic peaks over the endless blue Atlantic; beautiful reflections of the cloud formations in the sea. Feel the refreshing breeze while you look out for whales in the sea. really well connected with their adopted home." 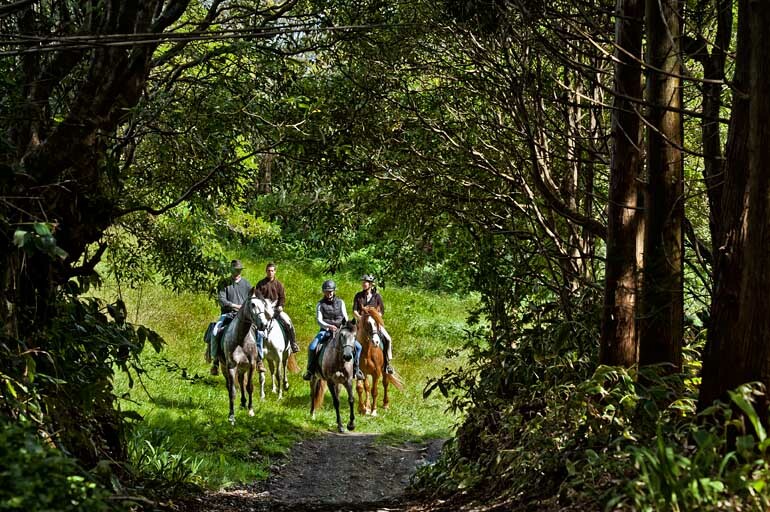 Our day trails are guiding us over small paths and rural ways through the green nature of the island. 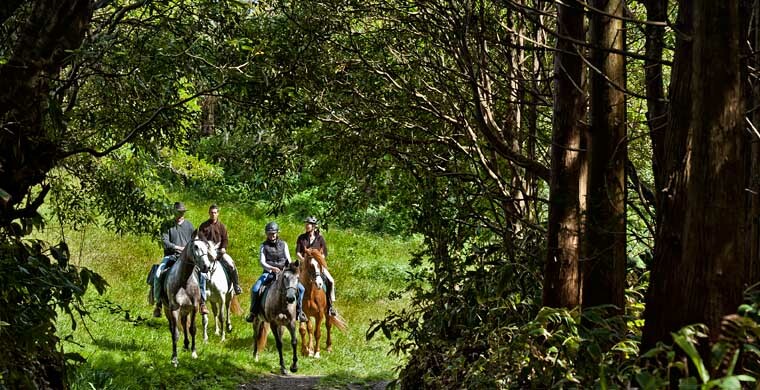 We will pass meadows and ride trough deep wild forests. One day trail will lead us to the old lighthouse Farol da Ribeirinha with great views to the neighbour island Pico - highest mountain of Portugal. With some luck you are able to see whales passing the island. 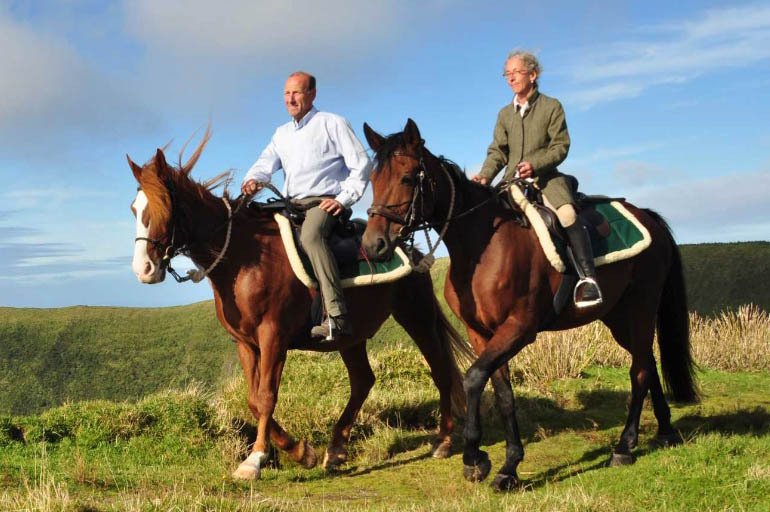 At lunch we serve a typical Azores picnic out of our saddlebags. Another trail leads us to the palm beach of Praia Almoxarife. In the evening you always return to our Lodge. Non-riding today. Those who want, can join us on a Whale Watching Tour to see the big sea mammals in their element. Or you descend with our licensed national park guide into the 400-meter deep caldeira of the 1.100-meter high island volcano. Also possible, hiking alongside old water-channels called Levadas or walk through the old sailors town Horta (all activities are extra). Or you can relax in the garden or the lounge of the Lodge. Typical Azores Food will be served tonight. 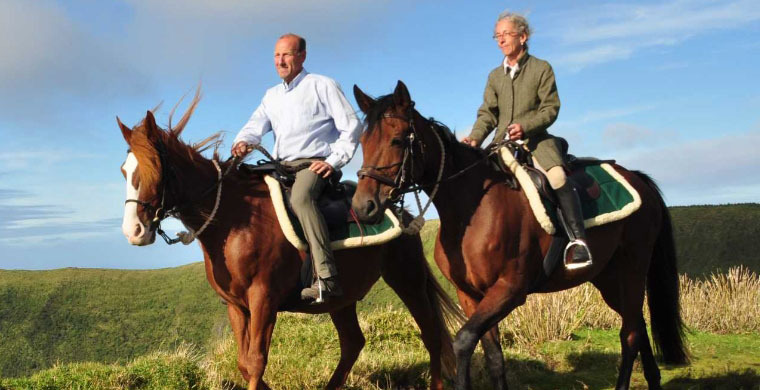 Partly with Land Rover and horse trailer we are driving to wonderful riding locations on the island. In 1957 the Volcano of Capelinhos erupted. Here we are riding through a bizarre desert landscape and you can visit the fascinating Interpretation Center of Capelinhos (entrance fee not included). Or we cross the island from south to north. 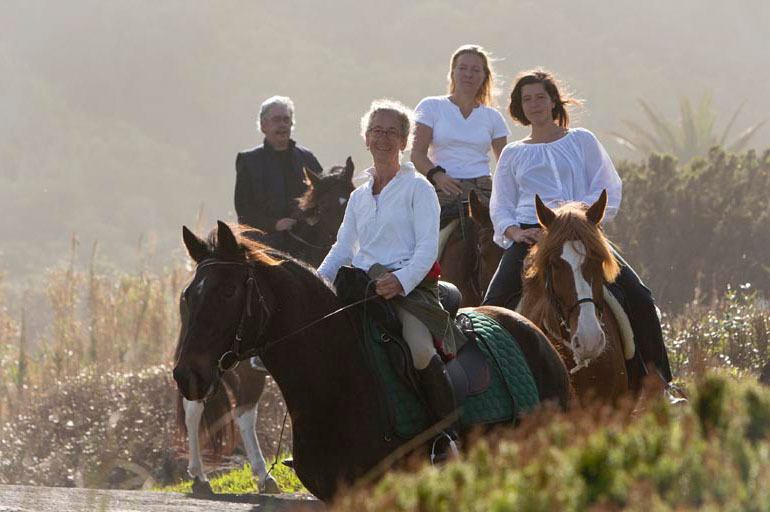 Or we ride from the tropical bay of Varadouro to the vineyards of the bay of Fajã. Always awesome rides in the middle of the Atlantic Ocean.